While the majority of people link air conditioning with cold, for your home to get cooler, there needs to be a transfer of heat. When heat is removed or lost, the cold air that is left ends up cooling your home. To get a better understanding of what an air conditioning system does, it’s important to look at the key components. The first component of an air conditioning system is the indoor unit, which is usually found in the basement or a closet. The indoor unit is a coil box that contains an evaporator. This allows for the refrigerant (a cooling fluid) that’s inside the coil piping to absorb heat and evaporate. After the heat has been absorbed from the inside of your home, it only leaves cool air to be sent back into your home. Just like when water absorbs heat from a stove for it to boil, refrigerant absorbs the heat your house generates. 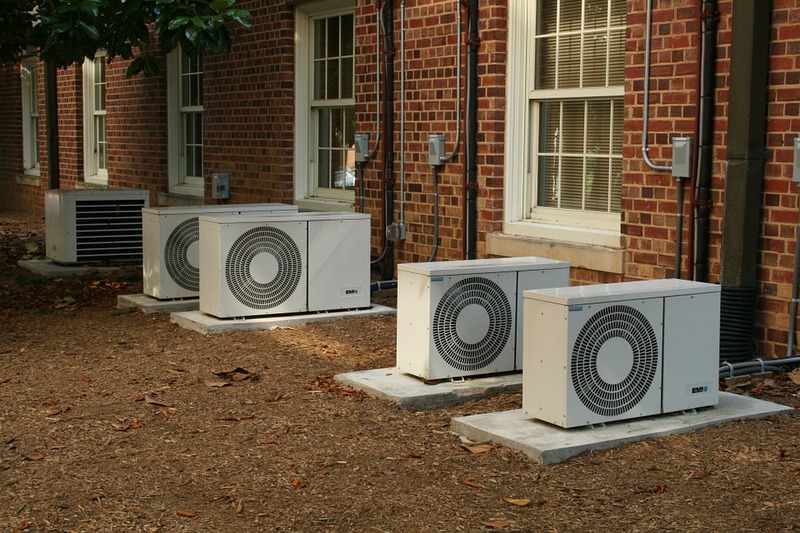 The second component of an air conditioning system is the outdoor unit. This can be found in the side or rear of your home and is responsible for dispersing the heat generated indoors. The outdoor unit contains the condenser oil, a fan, and a compressor. The heat that is absorbed from your home’s air is then transferred to the refrigerant, before being pumped through to the outdoor unit. Once the heat is absorbed, it’s then moved to the outdoor coil by the refrigerant, before passing through a compressor. The main goal of the compressor is to move the refrigerant throughout the air conditioning system. This is incredibly important as you are then able to keep reusing the refrigerant to cool your home. Like an air conditioning system, an air handler is primarily used to circulate and regulate any indoor air as part of a HVAC (heating, ventilating, and air conditioning system). An air handler plays an important role in your air conditioning equipment, with the main task being to circulate conditioned air throughout the home. Air handlers can make your home more energy efficient and provide you with a higher quality air. As a result, your outdoor unit does not have to work as hard. HVAC engineers can give you more information on air handlers and how they are used. Air conditioning systems are used in many homes across the country. Depending on the state you live in, temperatures can soar in the summer months, so many people class an air conditioning system as a necessity rather than a luxury. If you are considering purchasing an air conditioning system, be sure to shop around first to find the right one you and your home. If you haven’t got an air conditioning system fitted in your home and want to find out more information, there are plenty of companies that you can get in touch with who sell air conditioning systems, as well as those who will fit the system into your home.